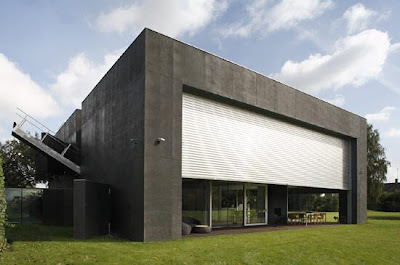 Relaxshacks.com: The first modern zombie-proof, apocalyptic bunker house/home- WTF!? 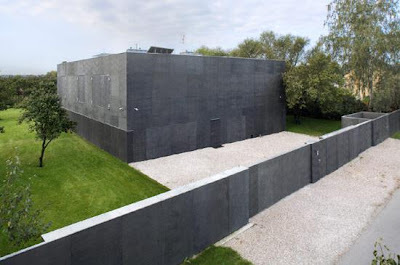 The first modern zombie-proof, apocalyptic bunker house/home- WTF!? Ok...this one's far from a tiny house, and being shown as more a case of really idiotic people blowing their money on stupid, pointlessly extravagant things.....and I'm not usually one to be negative, but for all the money they must have expended on this home, its still left devoid of any comfort, or any really stellar design appeal or style. Is it supposed to resemble a cold, robotic, prison? I'm left confused as to whether or not this is some multi-million dollar joke or not.....or if this person is just really paranoid (or the CEO of some ruthless citizen-robbing corporation who knows that its only a matter of time before the "villagers" have had enough). 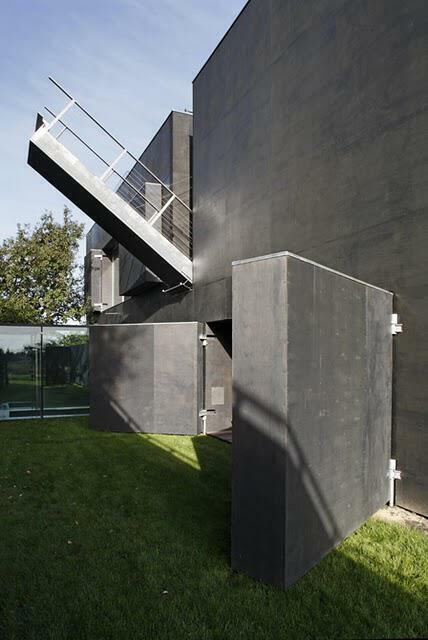 In all seriousness, there are a few elements I do like, but all in all, its just another case of wasteful overindulgence- even the owner has to realize this (and I'm sure it financially pleased the architects to no end). Somehow, ritual drunk-conversation concerning team captains for the apocalypse has become a major part of the lives of 20-somethings. Having been matured in the Grandaddy-crowned masterpiece film (put “A.M. 180” on and forget that you have a job), 28 Days Later, we’re all a little too ready to deal with the 2012 of our dreams. “The Safe House,” designed by KWK Promes, starts to get eerily close to something I could work with, if say 200 bludgeoned members of the undead army came over to eat their way into borrowing some sugar.